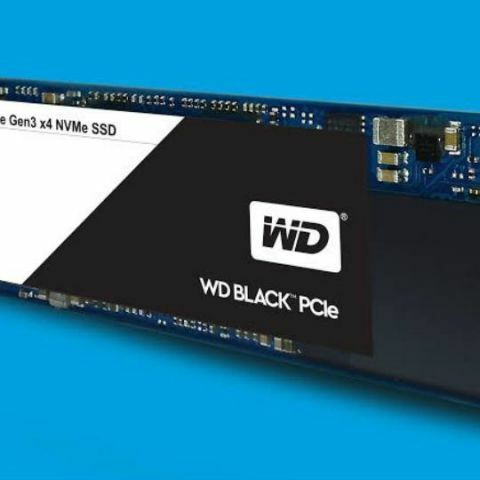 Western Digital has announced the availability of new WD Black PCIe SSDs. The new SSD is a performance PCIe Gen3 x4 NVMe-based SSD that the company says can deliver three times the sequential speeds of current SATA SSDs. It is available in 256GB and 512GB capacities. Western Digital Corporation (“Western Digital”) (NASDAQ: WDC) today announced the availability of new WD Black® PCIe solid state drives (SSDs), the first WD-branded client PCIe SSDs. The new SSDs complement the recently announced WD Blue® and WD Green® SATA SSDs, as well as the company’s industry leading family of hard drives for PCs and workstations, providing a full portfolio of WD storage devices for virtually any application. The WD Black PCIe SSD is a performance PCIe Gen3 x4 NVMe-based SSD that delivers more than three times the sequential read speeds of current SATA SSDs. The 256GB and 512GB capacities make it ideal as a boot drive when paired with a high-capacity hard drive, or as primary storage when building a future-ready PC. Consumers who are using new the WD Black PCIe SSD to boot up, load read-intensive games or applications, or shut down a system may realize a performance improvement of more than 10 seconds when compared to SATA SSDs. WD Black PCIe SSDs will be available in 256GB and 512GB capacities in a single-sided M.2 2280 form factor. The WD Black PCIe SSD boasts up to 2050MB/s and 800MB/s sequential read and write speeds, a 5-year limited warranty and WD F.I.T. Lab™ certification for compatibility with many leading platforms. The WD Black PCIe SSD will be available worldwide and on www.wd.com during the first half of 2017.